Yes, your eyes aren’t deceiving you about the headline above! We are dead serious when it comes to design terrazzo and the artistry that is involved in its manufacture, application and installation! There’s no room for the littlest of errors or even second guessing once a project is on the drawing boards and ready to take flight and be realized! It almost always is a work of exquisite art which is painstakingly fashioned by highly skilled craftsmen who take pride in their works. Original designs are hewn out of ordinary terrazzo to make it into something that is out of the ordinary and simply finished products that are beautiful and a sight to behold or to be walked upon, seated upon, or worked upon such as a kitchen benchtops and other work preparation areas, or as wall panels, steps and risers public furniture, columns, coving, skirting, partitions in bathrooms and lavatories and as vanity tops and urinals and more recently as fashionable terrazzo home decorative art pieces! 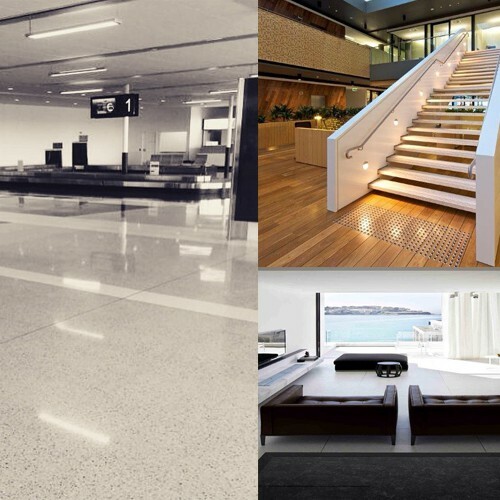 Terrazzo has always been a popular choice in a lot of floor projects in shopping malls, airports, shops, hotels, restaurants and public areas. Now, there are terrazzo-inspired award winning designs as recent winners for the best use of interior materials at Castello Bondi project and is a recent big winner at the inaugural Luxury Builders Awards. Belle Luxury Home Building Awards showcases the state-of-the-art and most elite designs and building workmanship from around the Australian continent. Only the most sophisticated materials, superior finishes, and incomparable artistry best describe the outstanding projects that got the coveted nod at the inaugural Belle Luxury Home Building Awards. The winners are considered the best of the best in their categories! When you enter most of today’s shopping malls, business office lobbies and hotel grand entrances or upscale restaurants it is almost a given that the first thing you will notice are either their fabulous facades or their intricate flooring! And, there is a large chance their flooring is made from terrazzo tiles and their steps and stairs and furniture are surely to be terrazzo pre casts too! 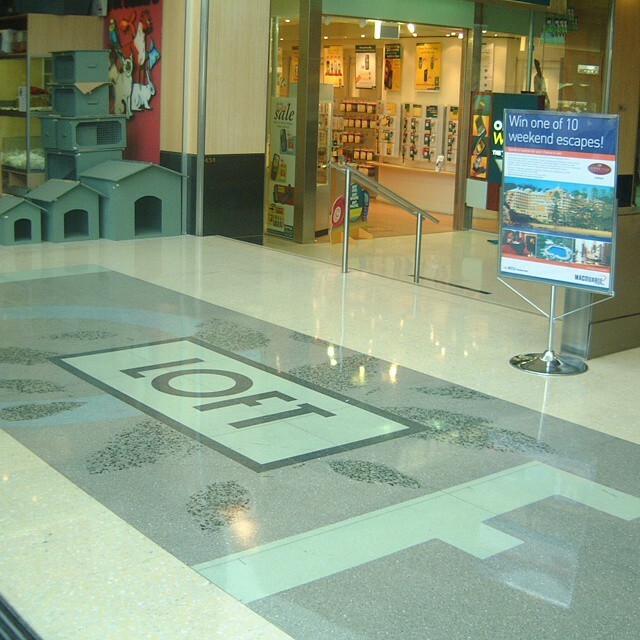 Contemporary Terrazzo tiles and numerous pre cast products add that different kind of sophistication to a shopping mall, specialty shop or office building it is installed in. Most Terrazzo tiles are laid, grouted and machine polished on the site to create a seamless floor with the grout at level with the tile enabling easy daily upkeep. It is manufactured from the highest quality materials that are mixed together. Innovative and eye-catching designs can be produced to your liking by the best artisans around. If you’re walking into a first class hotel lobby or a high end-establishment such as a shopping mall, an eye-catching floor hits your senses right away and gives you that sense of luxury! 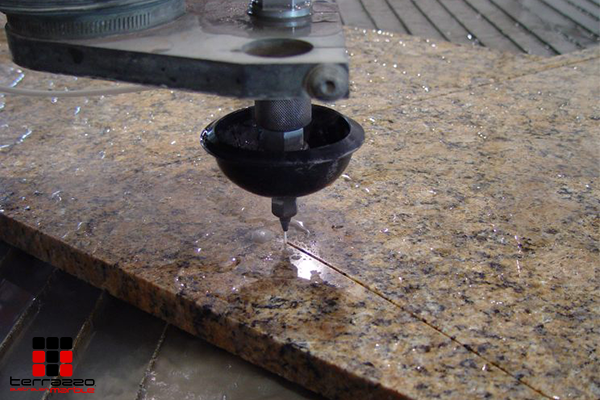 Since Terrazzo tiles and pre casts has a wide selection of finishes and innate and elaborate designs, one is provided with a lot of flexibility with its special and durable finishes.